Being one of the leading ecommerce platforms in the world, Magento is used by some of the biggest brands across in the world. It is safe to say that the platform is making waves in the world of online marketing, and expanding by helping retailers around the world quickly plan, build and optimize their online channel with minimal efforts. I strongly feel that those who are interested in starting an online store, need to get familiar with Magento sooner or later. And since it is the most mature and reliable open-source ecommerce platform, it requires an in-depth level of expertise in order to develop extensions or even do some basic changes. However, you get tons of solutions from the internet on how to make one or another modification for enhancing Magento functionality. Other than this, you will still have an option to look for a trustworthy Magento development company for extensions that are known for their reliability. Relied on by brands like Nike, Nestle, Samsung, Foxconnect, Lenovo, Magento covers nearly a quarter of the ecommerce platform. In fact, it is even considered as one of the most preferred options for startups for pitching their first online store. Further on, I would like to mention a few benefits offered by Magento, thadraw a startup as well as the giants for building their own Magento ecommerce website. Single Point Multi-store Management- Being one of a kind open source ecommerce platform that allows store owners to have full control over multiple stores from a single dashboard. Web Design Customization- Every business is different and unique in its very own way and so has to be your website. With Magento featuring tons of CSS customization options for web design, one can customize the store to its full capacity. Hosting options- With Magento, starting an online store doesn’t mean that you are obliged to stay with one hosting platform in particular. It also allows an ecommerce store to freely select a hosting company of their choice. As a result, it provides the freedom needed for all online shopping businesses to be selective with different hosting companies. Currency and language support- I am sure you must be aware of the fact that most well-known open source platforms have little to no options with regards to foreign currencies. 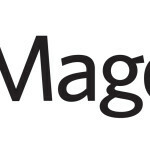 But the story seems to be entirely different when it comes to Magento- it supports all currencies around the world. Besides it even supports a variety of languages. Available in 3 Flavors- Right from the Community Edition (open source) to Enterprise edition & Magento Go (hosted solution), Magento is available in three versions. Choose the right one according to your business needs here. In-built Automated Marketing Tools– Magento allows store owners to integrate their backend with a wide variety of extensions for marketing that helps boost their selling prowess. Apart from this, third-party extensions can also be integrated into the store with minimal hassle. 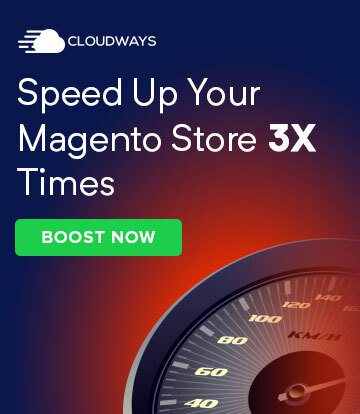 Quick Scalability- Originally written in PHP, which is an easy-to-use programming language, scalability is something that Magento scores five on five. Developer Friendly- In addition to its PHP grounded scalability, there is a big chunk of PHP developers making it easy to find developers for your first or next online store. Responsive design- Magento makes it easy to design and structure responsive online stores that make it a breeze to reach customers who rely on smartphones and tablets for shopping or browsing. Speed Optimization- There are several website optimization techniques which eventually help in reducing your website’s loading speed to under 3 seconds, thus putting your website on top of search engine results. 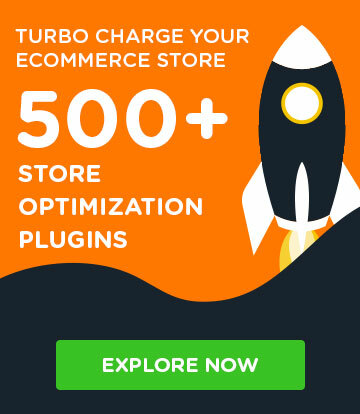 This is one of the best advantages offered by Magento when starting an online store. 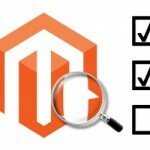 SEO friendly- Magento even offers a number of SEO optimization features like meta tags, title tags, etc. which helps gain more SEO traction for the product category, individual product pages and much more. In fact, it may interest you knowing that being up to date with the latest SEO ranking factors, Magento provides a great URL structure, analytics for tracking web visitors and meta-implementation options. Of course, there is a way of going about the procedure of creating and operating an ecommerce website but before we proceed any further, there are certain things you must learn before. 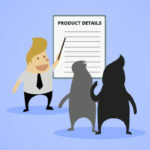 Are you ready with the product that you wish to sell? – The rivalry between ecommerce websites is pretty well-known, and it’s fierce. Some of those are selling a particular line of products/ services, while others pretend for being one-stop-shop solutions offering products ranging from mobile phones, laptops to household appliances, books, CDs, home theatres, handycams, sports goods, and so forth. Therefore, it becomes very important to decide upon what product or service would you like to sell and this must be decided upon before starting a store online. What’s your business model- Try choosing your business model on the basis of your pre-defined requirements. You have two options to choose from- either sell through your online store or consider selling your products on marketplaces like Amazon, FlipKart, eBay, etc. You also have a third option, selling your products on both the platforms at a time. What will be your niche? – The final step is to choose a business name and come up with a unique domain. For startups, it is crucial to come up with a business name that is relevant to your products and easy to remember for your target audience. After all, a domain is something which gives an identity and makes it easier for online buyers to recognize you. Just a tip for those who are starting an online store– try choosing a dedicated domain as it helps in search engine optimization and easier recognition. Right after completing the installation process, try uploading all the Magento files to your hosting server. In fact, you can even think of uploading files by accessing cPanel -> File Manager or through your FTP client. Magento database is a resource heavy and requires strong servers. Now in case, if you have several products or expect heavy traffic onto your site, just bear in mind that you will require a strong server. The first and foremost rule of starting an online store is to build unique themes in accordance with their branding strategy. Of course, you may think of purchasing a readymade one such as ThemeForest and customize it according to your preferences. Make sure that the Magento theme customization only applies to the visual aspect of your store. In layman’s language, one cannot add functions using a pre-built theme. And much more- the possibilities are simply endless! Product categories in simple words can be considered as road signs that help customers in mapping their journey to the exact product that they aim to buy. Simply set up product categories and sub-categories in the platform. In fact, Magento allows one to create as many credentials and subcategories as required. Magento as a platform allows store owners to configure multiple shipping methods for their customers like a flat rate, free shipping, table rates, online rates, dimensional weight and so on. Other than shipping methods, Magento even allows multiple payment methods for your online store. And there you go- time to make some quick bucks! As soon as you launch the store, start thinking about promotion. Content marketing, social media, and paid promotion, etc are several areas where you can focus upon to get people onto your website. And if you aren’t ready to make that level of investment at first, go with the old-fashioned yet effective word of mouth strategy. 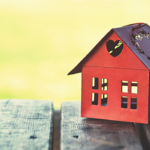 Talk to your friends about it, mention it to professional acquaintances, and bring it up at any events around town likely to attract the kind of people interested in what you’re selling. Starting an online store on Magento is easy, but it is not for everyone. In order to be successful online, there are several prerequisites that need to be considered. One of those is learning how Magento really works. Once you understand the basics, you will steadily learn other things that would be an asset in turning your online store into a scalable business. Vikash Kumar is an Online Marketing Manager at TatvaSoft, a Software development, and Ecommerce Development Company. Apart from his profession, he also has a passion for blogging where he shares his expertise on Enterprise Solutions and much more.